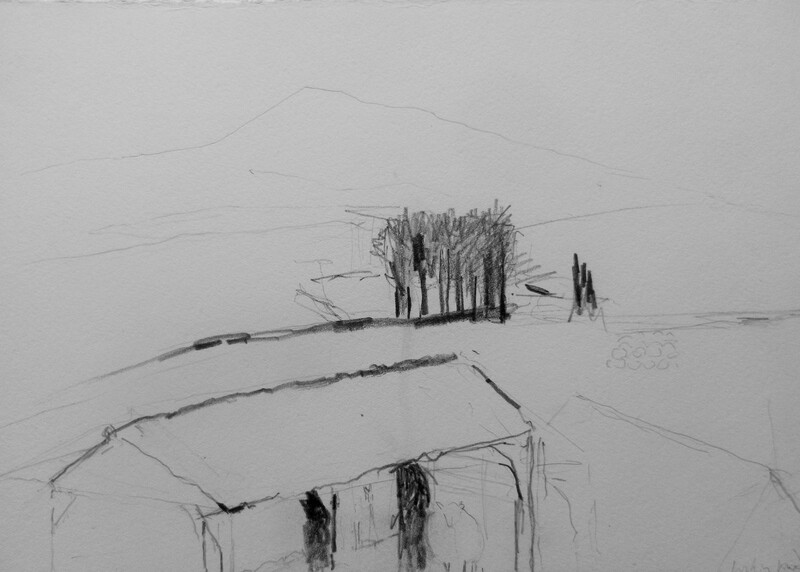 The Landmark Trust, in collaboration with PEAK, an initiative devised by Arts Alive Wales, invited local artists to apply for residencies during the restoration of Llwyn Celyn, a 15th-century farmhouse and outbuildings situated in the Llanthony Valley, near the Black Mountains. I have been chosen as one of the artists, which is very exciting, and I’m looking forward to working there periodically over the next year and a half, as the restoration progresses. As I’m interested in the layering of landscape history and recording traces and marks, I will be there when archaeologists are present, to see what is unearthed on the site. There’s also traces of ancient farming, which agricultural specialists will investigate. I’ll be attending meetings of a local history group where I’ll be able to talk to experts about the changes in the landscape, access old maps and records and hear memories and recollections of local residents. 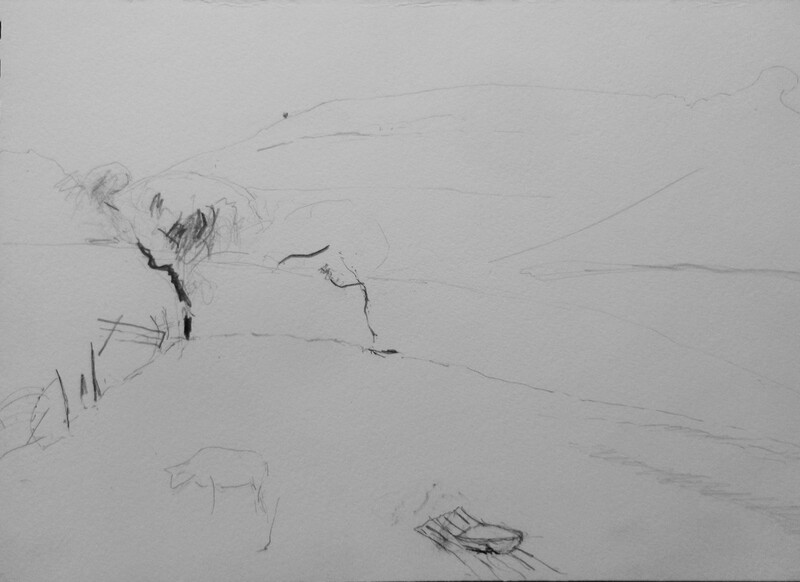 I intend to produce a group of large-scale drawings of mixed media which will develop organically over time: things added, taken away, traces left, connections made. I would also produce at least one large-scale painting alongside the drawings to exhibit on site when the building work is complete. Our first visit since the residencies were confirmed took place last Wednesday 9th September, where we had a meeting with the other artists and re-acquainted ourselves with the site. Building work will commence in April 2016. 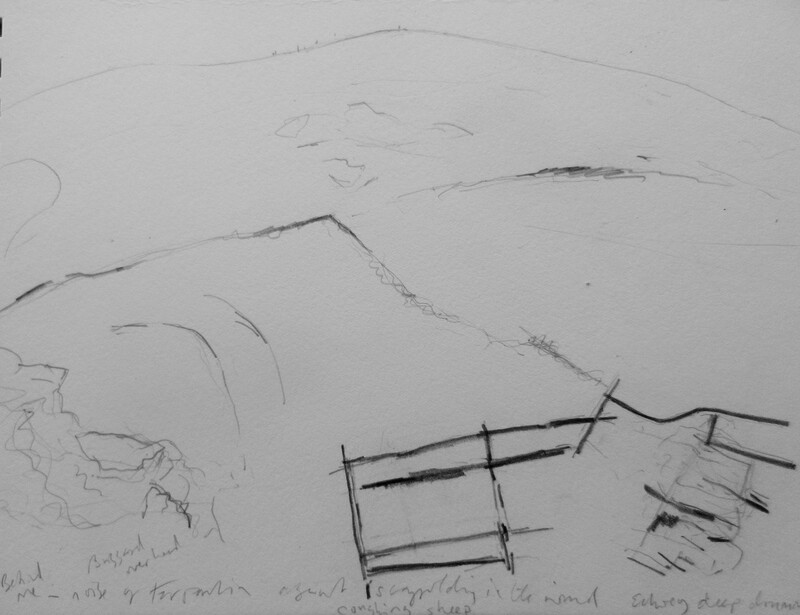 I made some sketches of the surrounding farmland fields with rusting old machinery and the hills behind. 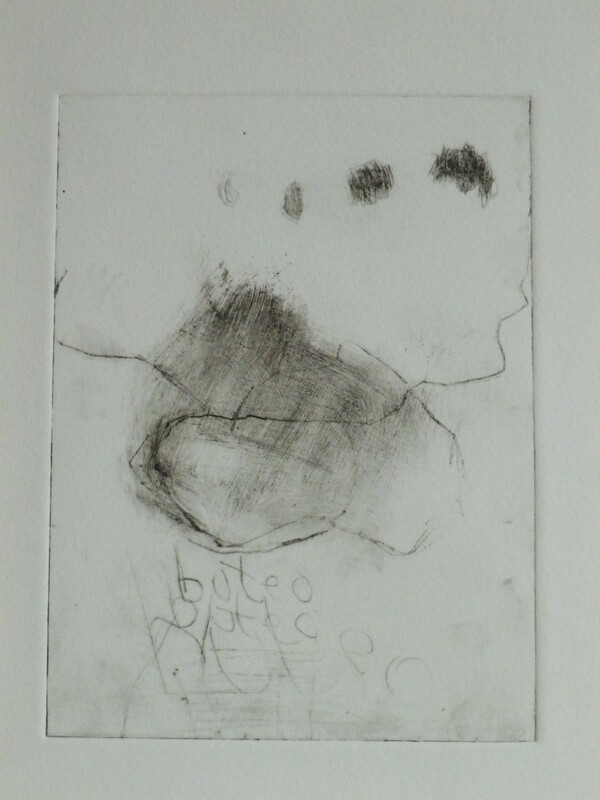 After recently attending an experimental printmaking weekend at my local arts centre Arts Alive in Crickhowell, I have rekindled my love for monoprinting and drypoint, and learned a new method of printing – collagraph. I now want to get myself a mini press so I can make it an integral part of my working pratice alongside painting and drawing. 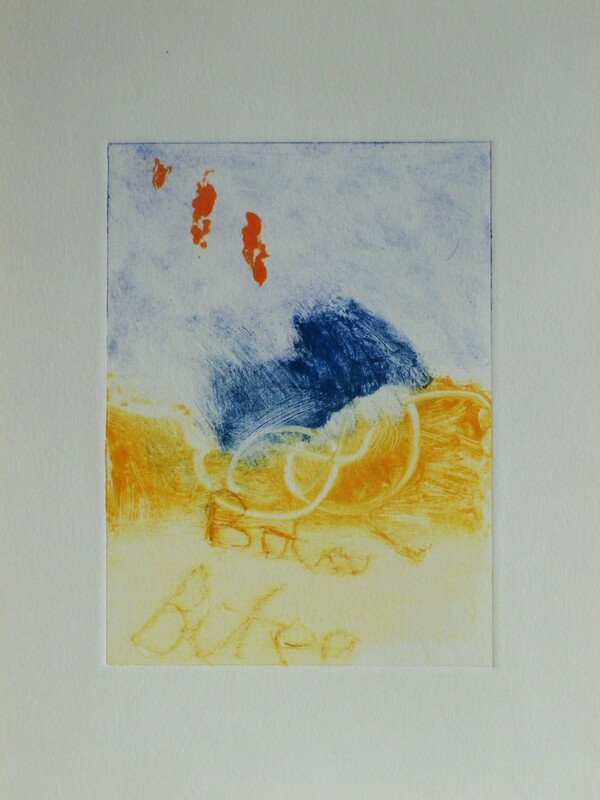 We have a small press on loan to Arts Alive, so I’ve been making use of that and will facilitate some printmaking sessions there during the Autumn term (see Arts Alive website http://artsalivewales.org.uk/wp/events/category/eve). I have a couple of prints in the Summer Show at the Art Shop Gallery in Abergavenny, alongside a watercolour and small works on canvas until the end of September.